Creating my everyday: So much to catch up on! Yikes, there is a lot to talk about when I don't blog in a week (bad me!). First off, I found out this morning that I am on to round 3 of the Flippin' for the Holidays contest at AMM. The next round is going to be a huge challenge for me - we have to create a 2 page layout. I haven't done a 2-pager in a loooong time, but I am always up for a challenge, so i'll have to put on my thinking cap. We also have to use the colors of red and green - it doesn't have to be a Christmas layout, but we have to use those colors. I'll let you know what I come up with! 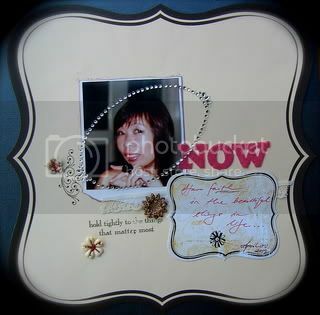 Speaking of AMM, the owner Michelle asked me if I would guest design for her for December! I am SO excited about this! I've been a huge fan of her site since I first joined last Spring, and she creates gorgeous kits! Not to mention she is such a sweetheart, so i'm really excited and appreciative that she thought of me. Can't wait to get my kit! Here is a new Fancy Pants layout I did using the Daily Grind line. I also did this for the DT inspiration at CMK, and i'm challenging people to use office supplies on a layout. I used the white envelops, binder clip, chipboard paper clip, mini file folder and staples. 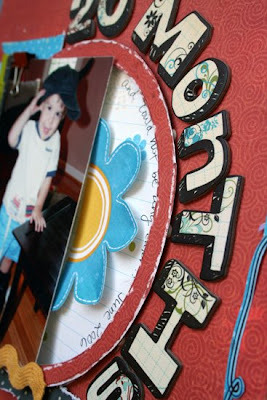 Journaling reads: 20 months and could not be any cuter! (This photo is of Noah back in June of '06!). I also have one more project I made for CMK's November kit. 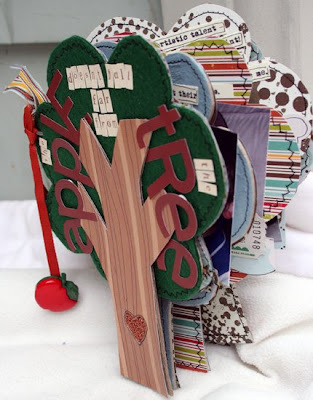 I used the chipboard trees to make a mini-album (called "The apple doesn't fall far from the tree") highlighting the traits that Tony and I have passed down to the kids. The kit came with three trees, so I traced some more onto chipboard. Journaling: (page 1) This album is decidated to my children - the loves of my life - to celebrate the wonderful (and not so wonderful!) qualities that were passed down to them from their daddy and me! Love, mommy; (page 2) Both Noah and Chloe get their picky eating from their daddy. They get their love of sweets from me. Journaling: (page 3) Noah got his love of Star Wars and all things superhero from Daddy. Chloe is into dolls, purses and getting into my make-up. She's a girly girl like me. (page 4) Noah has my brown eyes. Chloe got her daddy's blue eyes. They both got their massive amount of thick hair from me! Journaling: (page 5) Daddy passed on his love of video games to Noah. Chloe is a bookworm just like I was as a child. (page 6) Chloe got her daddy's artistic talent - she loves to draw and paint! Noah is a good sleeper and requires a lot of sleep like me. Chloe needs a lot less sleep, just like her daddy! 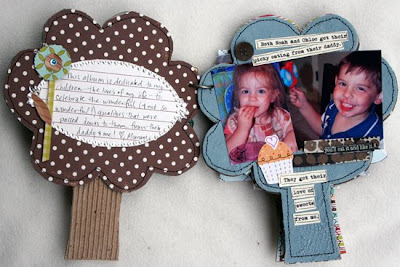 Journaling: (page 7) Both of our kids are social butterflies... they get that from me. (page 8) Both Noah and Chloe love to be silly and have fun. They get those traits from both of us! Journaling (page 9): They both love to sing and dance and rock out. 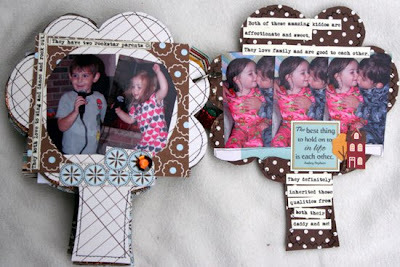 They have two rockstar parents :-) (page 10) Both of these amazing kiddos are affectionate and sweet. They love family and are good to each other. They definitely inherited those qualities from both their daddy and me! I sure wish I wasn't such a slow scrapper, because I would do minis all the time! I had SO much fun making this, but I scrap at a turtle's pace, so it took me forever, of course! Finally, my sweet friends Jocely and Audrey both left me blog awards in the last week, so I promise to come back and catch up on those soon! Hope everyone is having a great start to their week! Only a few more days until Thanksgiving... I can't wait! Love love this layout! & Huge COngrats to you! You are a fabulous Scrapper! Thanks for all the inspiration! I LOVE this tree mini. What a clever idea and it turned out gorgeous!! Omg! I LOVE the tree mini! Congrats on GD for AMM ! that's very cool ! yes their kits are wonderful too ! '& on to round 3 of their contest ! woohoo ! 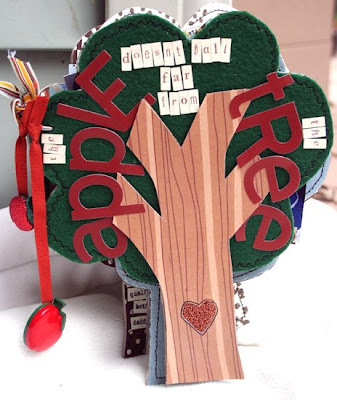 Your tree mini couldnt be more adorable ! good to know the apple doesnt fall too far from your tree ! lol ! perfect words. The pictures were fantastic as well; this is one of my favorites, then again, so many others are as well. 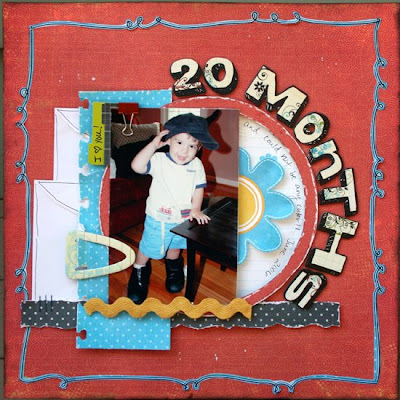 I also loved the LO of Noah at 20 months! Oh, I love this mini-album and the theme of it is just genius!! Btw, I tagged you on my blog. Too, too, too cute of a mini album!! Just adorable and how special for them. Love that challenge and layout too. Congrats on the GDT at AMM!! Awesome! You were too quick for me! My blog post, where you're tagged, is now up! I LOVE your mini album.... Gorgeous! Thanks for dropping by my blog last week with your encouragment. My girl is feeling much better now. Staci, congrats to you! You so deserve it because you are so very talented. I so enjoy your work and I love the tree mini album! EWishing you and your family a blessed Thnaksgiving!!! looove your tree mini! 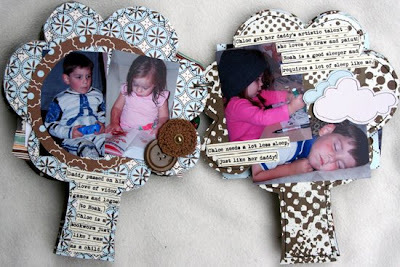 and the layout is absolutely adorable! Congrats on the AMM Guest spot Staci!!! You deserve it girl! LOVEEEE this tree album!!! so bloomin cute!! Congrats on the GDT at AMM!! Can't wait to see what you create! Good luck on the contest! Love the little tree album!! That is such an adorable shape and decorated so beautifully!! 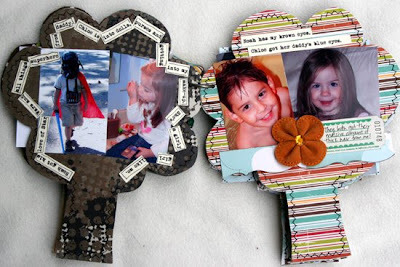 cute tree mini, and love the doodled frame work. 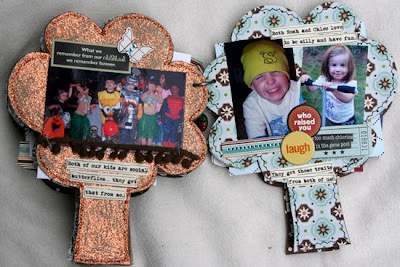 That tree album is adorable and you have rocked the FP once agian! Congrats on the contest...you go girl! YUMMY girl love it .. love your post .. always so interesting. Happy Thanksgiving Staci..so glad that our paths crossed sweetness. So glad. congrats on the next round! that mini is so cute! ooh.. love love what you did with the tree.. it's so cute.. I want a tree now.. thank you for your constant inspirations Staci!